While on a trip to France with Connie Lowe, Little Stella caught the artist bug! She is especially fond of the Impressionist artists and their work. Since her return, well she has been practicing and practicing and you will love what she has prepared just for you! 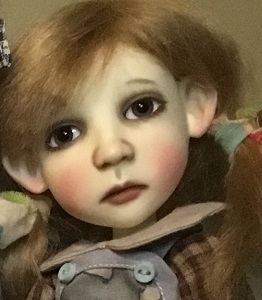 Bring your favorite Connie Lowe doll to enjoy Little Stella's Art Rally. A limited number of Little Stella's will be available for purchase at reduced prices.